I downloaded Apowersoft screen recorder (v1.1.2) from Mac appstore and installed audio device as well. But you don’t seem to provide a way to unstall Audio Device (not a software itself) to users who downloaded it from Appstore. Please let me know how to uninstall audio device. Hi! Please follow the steps and screenshots below to uninstall the virtual sound card. 1. Please open the “Finder”, then select “Go”->”Go to Folder”. 2. Fill in “/System/Library/Extensions” if you are using Mac OS X 10.8, or ” /Library/Extensions” for Mac OS X 10.9 and later, and click “Go”, then delete the file Apowersoft_AudioDevice.kext, then reboot your Mac. 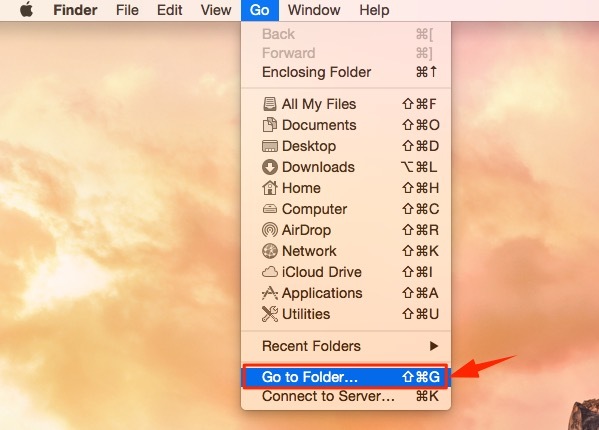 If the above-mentioned ways cannot solve your problem, you can go to “Finder”, then select “Go”->”Go to Folder”. Then enter “/Library/Audio/Plug-Ins/HAL/Apowersoft Audio Device.driver” and click “Go”. Afterwards, please delete the “Apowersoft Audio Device.driver” folder, and restart your Mac. Then the Apowersoft Audio Device will be removed completely. 林阿憲 : yeah. If I connect to speaker by bluetooth, it can't broadcast any sound from mac to speaker. I think it maybe the setting before I use your app for recording some message/chatting app's voice with other user. The record setting for changing sound output leading the mistake for broadcast sound to real speaker by bluetooth. So I can successfully broadcast music by bluetooth after I removed your recording app. Alice Wang reply to 林阿憲 : Hi, thanks for your feedback. We will test the problem soon and try to find the solution for it. The program I downloaded from the Appstore is very unstable so there’s some missing sound (or sound doesn’t synchronize with video in some parts) even in the capture of short time period. Hope this comment will help you. Alice Wang : Hi! Thanks for your feedback. It's true that our App Store version needs update. Alternatively, can you use our online version for recording screen on Mac? It works better and it's up to date. You can check it out yourself. I am not having luck following your instructions above to completely remove this app through Finder. This is incredibly frustrating and I regret ever trying your software. I have trashed every found element with your product name, have deleted trash, and rebooted. Yet “Apowersoft” is still hijacking my input and output settings as Aggregate Devices. Help!! Rusty : I had deleted the main application using 'app cleaner' - great little tool and free - but it did not get everything. I found that the instructions provided above worked to remove the kext file which removed the malingering A-audio option from the audio options menus. 0. Delete the application using app cleaner 1. Click the desktop (to get the finder menu)... and then choose 'Go' from the menu. 2. Choose 'Go to Folder...' then type in '/Library/Extensions' into the dialogue window - this will take you to the correct folder. 3. Delete the A-audio....kext file. You can do this by clikcing on it and then pressing cmd + delete or just drag it to the trash. 4. Restart. Alice, I’m trying to get rid of it because it highjacks the audio output all the time. I rarely use the software, yet I constantly have to open “Sound” preferences in OS-X and switch the output manually to Internal Speakers or Headphones. I seems to think it is the default and this is very tiresome. I just want to ask, if I uninstalled the program, would this be enough to delete my account? By the way, I couldn’t neither uninstall Video Converter for Mac nor access my account because they haven’t give me the verification code. I will be happy if you could help me with these issues. Hi, Ahmed! You can just uninstall the program. Regarding the second issue, can you describe the issue with more details and send an email to support@apowersoft.com for quick help? I have tried all of the above and still it lingers in the audio devices. I want this gone! Can you let me know how else to do this, why could you not build software that uninstalls correctly? Hi, please try to remove it by using these commands. Alice Wang reply to Thomas : Hi, please refer to the method showed at the second place in the list of this topic and then restart your computer. If this way doesn't work, please make the screenshot of your audio device and send it to support@apowersoft.com. Our customer service staff will contact and show you how to solve it at the first time. Thanks! Hi Alice, I’ve uninstalled the app but there is still Apowersoft_Aggregate device in my input devices list. Sorry about that, please locate and run the app under the path "/Applications/Utilities/Audio MIDI Setup.app ". And then find the "Apowersoft_AggregateDevice" for deletion. i am not able to remove apowersoft audio device. Alice Wang : Please refer to the guide shared above. Your device captures all my audio and ruins Audio Hijack Pro. I have done all the above steps, but your device is still listed as an audio device in Audio MIDI Setup. So how do I remove it? Can’t open CFBundle for /Library/Extensions/Apowersoft_AudioDevice.kext. Alice Wang : Hi, James Rome. Could you please tell us which way you are using to remove Apowersoft_AudioDevice? Did you reboot your Mac after removing it? Please remember to relaunch your computer, otherwise it won't take effect. Even following all the instructions mentionned in this thread, I cannot get rid of Apowersoft Audio Device. MIDI console doesn’t offer the option to uninstall. Just wanted to add that I had the exact same problem so had to uninstall the app. However, there was an “Uninstall” file in the folder with the application, and this seemed to work fine to remove the program and get my sound back. I am having the same issue, Tried everything, but does not work. There’s no such file Apowersoft_AudioDevice.kext in extensions. Apowersoft_audiodevice keeps highjacking my audio output! you can try restar Mac after deleted? I have been tearing my hair out to overcome this same problem. I deleted every file I could find that appeared related to Apowersoft and still it appeared in Sound preferences and in Audio MIDI. Then I did a search with FindAnyFile, which seems able to probe corners of the Mac that Spotlight cannot reach, including invisible files. It discovered no fewer than fourteen scattered files with Apowersoft in the name. It enabled me to trash them all, then I emptied the Trash and restarted the Mac. Finally Success! This pestilence has gone.